The BTS is undoubtedly the swiftest way to get around, and can whisk you right where you want to be in no time at all. 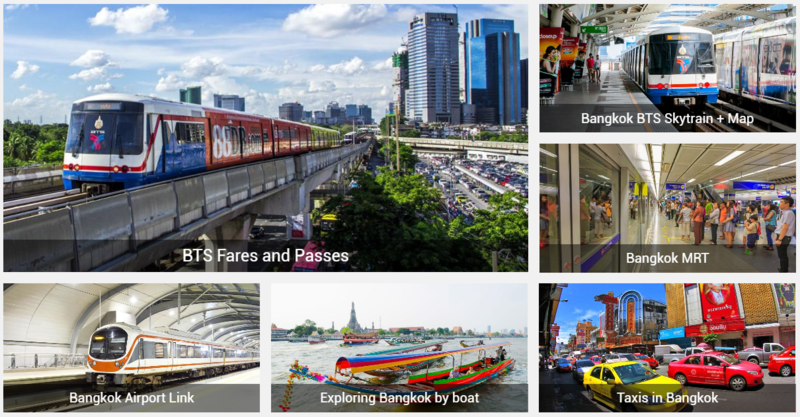 It's a cheap, smooth, cool, clean, fast and scenic way to enjoy Bangkok. Note that Service runs between 06:30 and midnight, and the trains can be packed during peak hours (07:00 - 09:00 and 16:00 - 19:00). - For 15 trips (use within 30 days), 25 baht per trip unlimited distance, it costs 375 baht. - For 25 trips (use within 30 days), 23 baht per trip unlimited distance, it costs 575 baht. - For 40 trips (use within 30 days), 21 baht per trip unlimited distance, it costs 840 baht. - For 50 trips (use within 30 days), 20 baht per trip unlimited distance, it costs 1,000 baht. 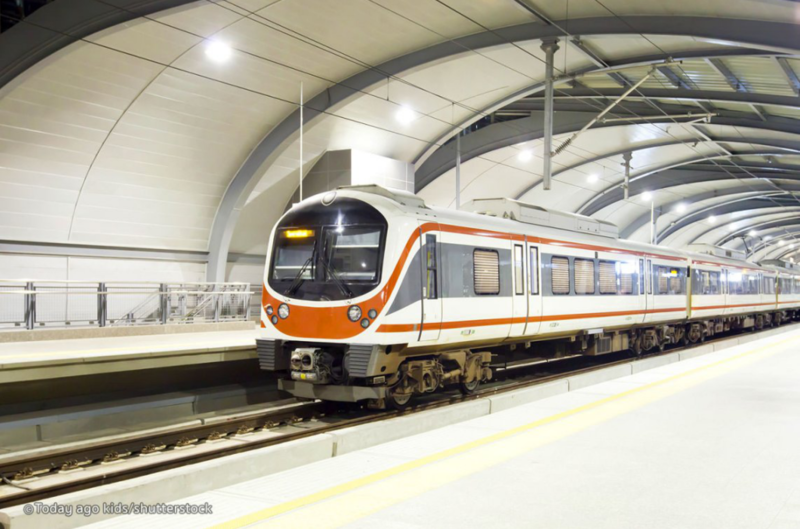 The Bangkok MRT underground runs underneath Rama IV and Ratchadapisek Roads, the two thoroughfares that cut through the heart of downtown Bangkok. 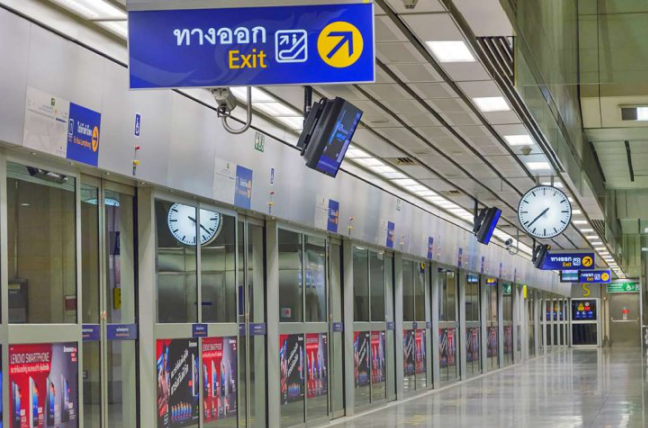 Although additional lines and extensions are in the pipeline, it currently only comprises the blue line, serving 18 stations from Hua Lamphong to Bang Sue. Trains every five minutes in peak times (07:00 - 09:00, 16:00 - 19:00) and every seven minutes at other times. 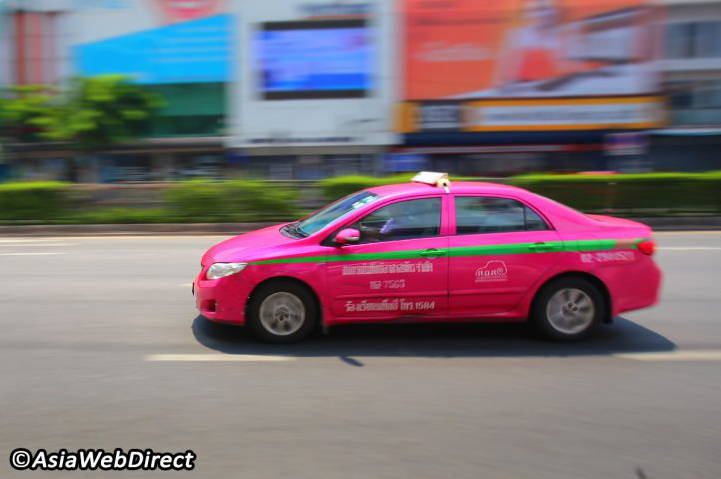 Besides the BTS and MRT, the easiest and most convenient way to get around Bangkok is by taxi. Most taxis are new, spacious and, in addition to the traditional green-yellow and red-blue, they also come in funky colours like bright orange, red and even pink. The fare starts at 35 baht, and stays there for the first two kilometres. Thereafter, the fare gradually works its way up with 2 baht at a time (roughly per kilometre). A surcharge applies in traffic jams (1.25 baht per metre when moving under 6 km per hour). Typical taxi fares for going a few kilometres are around 50 baht. Communication can be a problem with the majority of Bangkok's taxi drivers as they often speak little English.They're cheap and available virtually 24 hours a day. Meter taxis now predominate, but sometimes you may have to politely (but firmly) ask them to switch the meter on to save negotiating later. Since taxis are cheap and the drivers work all hours in traffic that is legendary, a small tip is often appreciated.